HostPapa Review – Is this Canadian Host Any Good? Snappy performance all round. Nimble WP back-end. Performed well consistently. Downtimes aren't a major concern. Server seemed stable enough to rely on. Support is very efficient, and live chat is very fast, but ticket replies aren't as fast. Quite cheap prices for the first-term, but renewals are a lot more expensive. HostPapa is a privately-owned Canadian web hosting company founded in 2006. They claim to host over 500,000 websites on their servers at the moment. The benefits of not being a part of a huge conglomerate like EIG like BlueHost or HostGator are endless. According to HostPapa themselves, "we are committed to our customers, not chasing a stock price." I decided to test their claims in this detailed HostPapa review. Specifically, I've tested crucial things like performance, uptime, quality of support, and other vital features. First, a feather-light, well-optimized, text-only WordPress page. As you can see, it loaded very fast! But, we seldom have a page under 100 KBs, and with only 3 HTTP requests. As you can see, the page weighed around 1MB, and still loaded in well under 425 ms, which isn't something I'd expect often from a shared host, let alone a budget shared host! It's worth noting that this site is hosted on their most basic 'starter' plan, which offers half the server resources as their intermediate 'business' plan. The speed test left me pleasantly surprised, to say the least. One thing that made a huge difference in page loading speed was GZip compression. It wasn't enabled by default, but after confirming it with their support staff, I enabled it from cPanel (under 'Optimize Your Site'), and instantly felt a 50-60% improvement in load times. It's also worth noting that I optimized the site in question heavily using WP Super Cache and Autoptimize (for minifying and combining .css and .js files), so if you have an unoptimized site, it'd take more time to load. Another thing is, I found their server resource limits to be quite lenient, even for the 'starter' plan that I was using. 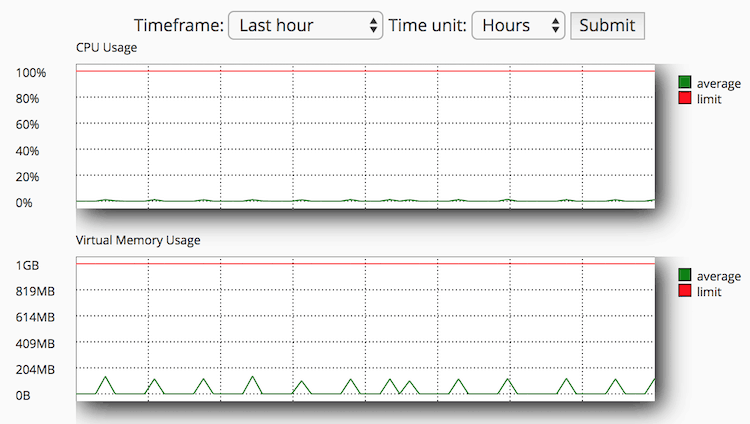 You can see in the CPU and memory usage graphs below that the site was barely using any resource to run. This could be because of the efficient caching setup, but this also means sites hosted on HostPapa are unlikely to have issues like hitting resource limits and then getting throttled if there's a spike in visitors. I haven't hosted this site for a long-enough time to comment on long-term uptime, but so far I haven't faced a single instance of downtime. I'm monitoring the uptime using Uptime Robot, an industry-leading uptime monitoring tool. I'll add screenshots after a while to show the historical uptime of this site hosted on HostPapa. They have a dedicated network status page showing present network issues like disruptions, outages, the status of individual components like email, FTP, DNS etc. and also lists all current known issues and upcoming maintenance periods, if any. Additionally, there's the standard 99.9% uptime guarantee (although some hosts offer a 99.99% guarantee, too). Support has been good so far. I've had instant live chat replies, but support tickets take anywhere between 30 minutes to 3 hours on average to get a reply. And that was for a basic query like asking about what their nameservers were. Live chat is much faster, and generally answers beginner-level queries very quickly. For example, this was a conversation with their support agent Alex, about enabling GZip compression. They have 24x7x365 live chat and ticket (email) support. Additionally they offer phone support in 18 different countries in many different languages. The scope of their support is clearly large, and if not for the not-so-fast ticket support, I'd rate them even higher in this department. 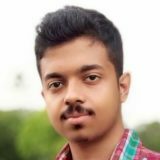 In addition to all of these, they have a very useful knowledgebase containing answers to every common question that a new user may be looking for. 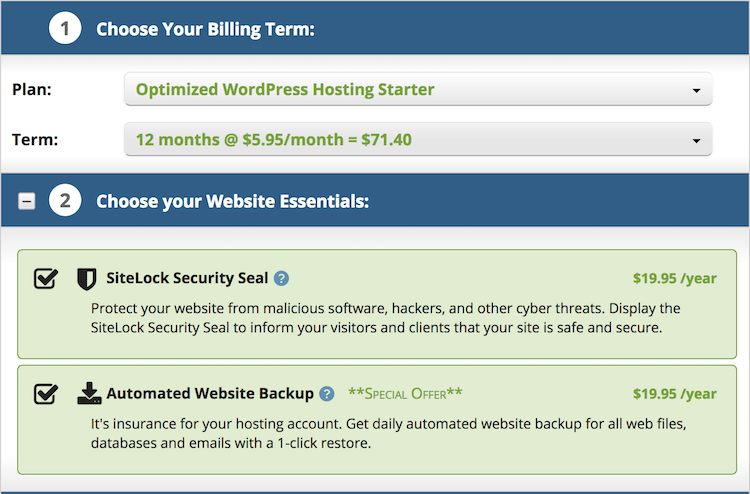 Here's the gist: the normal prices of their shared hosting plans aren't that affordable for their respective features. But the initial discount that you get makes them quite affordable for the first-term. They offer annual, biennial and triennial payments, so there's no monthly payment option. Also, the longer the payment cycle, the more discount you get. Most shared hosts allow just a single website on their most basic plan, but HostPapa allows two. 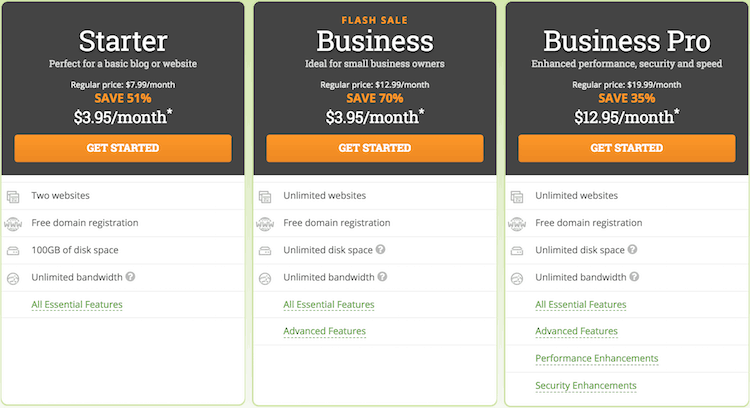 Plus, they also offer a free domain with every plan, and a standard 30-days money-back guarantee. The intermediate 'business' plan comes with 2x more CPU & MySQL resources, and yet costs basically the same money as the 'starter' plan for the first-term. Given you can sign up for up to 3 years (and get the discounted price for your entire term), the intermediate plan makes more sense because it allows you to host unlimited domains as opposed to just 2 domains for the 'starter' plan. Their 'Business Pro' plan comes with a dedicated IP address and automatic daily off-site backups. Overall, HostPapa makes the most sense if you're ready to pay upfront for a long-term, as renewal prices are high and you'll be forced to pay quite a bit more after a year if you go for annual payments. The issue with many cheap shared hosts (although HostPapa isn't really one of the cheapest) is that they either don't offer the standard cPanel, or offer a heavily customized version of it, like Hostinger does. If you're familiar with the standard cPanel UI, you won't have any problem with HostPapa control panel, as they use standard cPanel. They'll transfer your existing site from your current host to their servers at no extra cost. They offer SSLs for free for all your sites. They use either Let's Encrypt or cPanel's very own AutoSSL for these SSL certificates. WordPress comes pre-installed for your domain, if you go for their WordPress Optimized plans (which are basically the same shared hosting plans, and cost the same, too). So, if you sign up, and enter your existing domain or register a new one with them during the sign-up process, as soon as your payment is successful, you'll get a welcome email with your WordPress credentials! 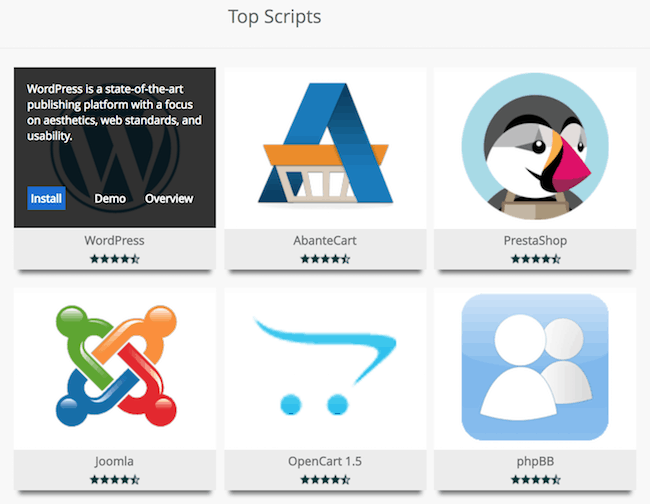 All of their shared plans come bundled in with Softaculous, which means you can auto-install hundreds of popular scripts including WordPress, Joomla, Drupal, SMF, and many more, with only a few clicks, right from your HostPapa cPanel. They unfortunately don't support free daily backups, and instead want you to pay $19.95/year if automatic off-site backups are a must for you. Although, taking manual backups isn't as hard because of the availability of cPanel, and these days you can use many backup plugins for WordPress sites that can automatically back up your site and upload it to your Google Drive periodically. This is evident right from when you try to sign up with them. If this matters to you, you're going to be happy knowing that HostPapa is 100% powered by renewable energy, including their servers, offices, and every other use case of electricity imaginable. Their servers come with a firewall and intrusion detection, and they claim to proactively monitor the servers for potential security loopholes. There's also the PandaCloud anti-spam protection. Overall, HostPapa is a decent web host with fantastic speed and reliable servers. I have nothing against their support team either, apart from the occasional slow ticket response. At their promotional prices (which applies only for the first-term), their plans are indeed value-for-money, but no real monthly payment option, less discount for shorter payment cycles, and much higher renewal prices are major turn offs. If you're okay with the price, however, you won't be disappointed with their zippy, stable servers, and accessible and generally helpful customer support. 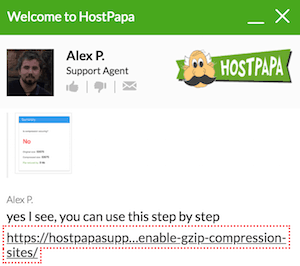 HostPapa is a decent host offering great performance, lots of uptime and responsive, helpful support. It’s especially good for people looking for a Canadian web hosting, as their data center is located in Toronto.